Inherited cardiac conditions are a leading cause of sudden death in those under 40. A thorough family history taken in the primary care setting will enable early detection through cardiac screening or predictive genetic testing of at-risk family members through a prompt referral to a specialist centre. 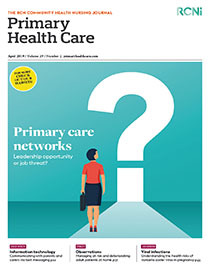 A decision-making tool is presented to help primary care practitioners with this process.